Some high schoolers spend their summers at the beach or in the pool, soaking up the sun. 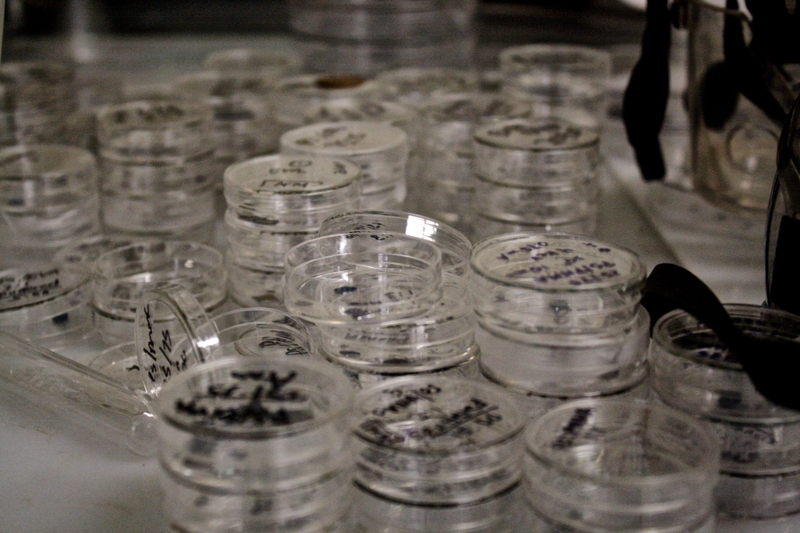 Others seek out a different environment — the chilly research laboratory. “I know that I need to have very motivated, very mature, and very smart science students to be able to work here,” says Rebecca Isseroff (not pictured), who has been mentoring students in the Garcia program for the past several years. Photo by Ciara Kernan. 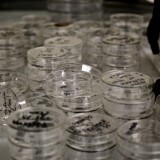 Stony Brook is known for the research opportunities it provides to its students. 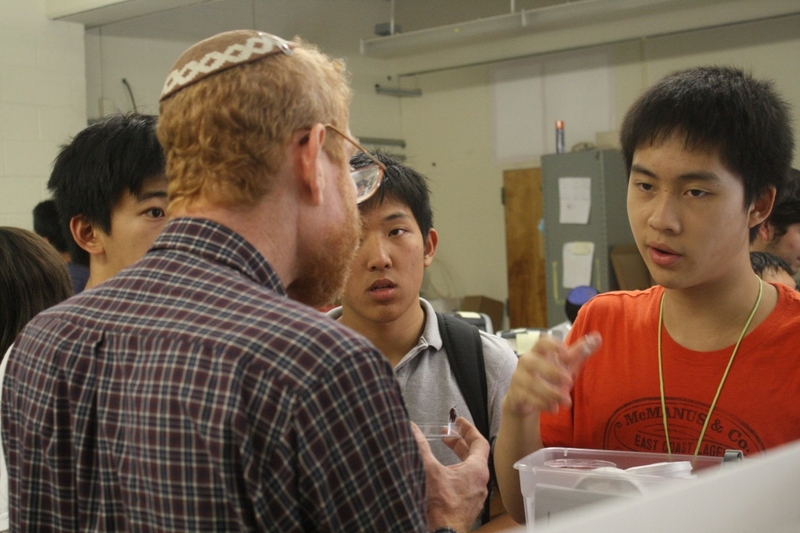 During the summer, a slightly younger demographic arrives on campus, ready to participate in various intensive programs that give high school students the chance to get involved in hands-on research. Rebecca Monastero, a senior from Sayville High School, was accepted into the highly competitive Simons Summer Research Program earlier this year. She is spending the summer examining the effects of seafood consumption and contamination with her mentor, Dr. Jaymie Meliker. The program, established in 1984, allows students to become familiar with research techniques and procedures. 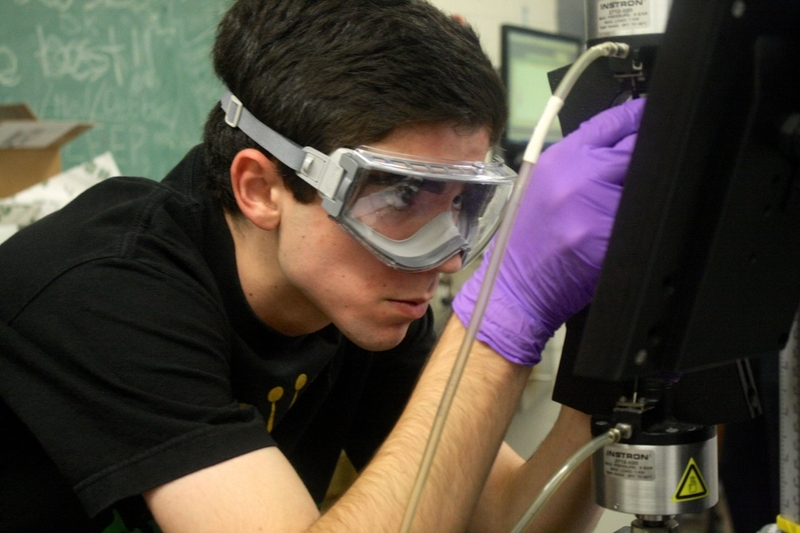 Another opportunity for students, the Garcia Materials Science and Engineering pre-college program, runs for seven weeks and teaches students about polymer science – a field that encompasses chemistry, physics, and engineering. 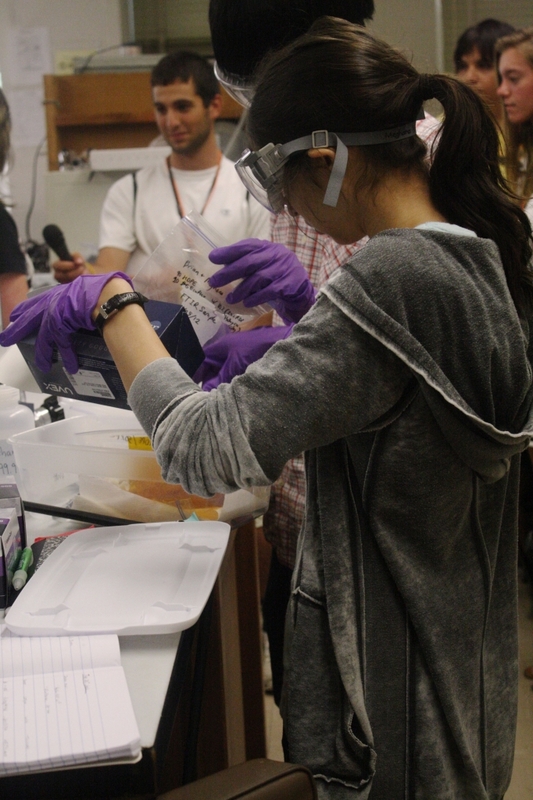 It provides a similar experience to the Simons program: high schoolers are paired with mentors, who work with them to develop original research projects. Often, students who participate in these two programs go on to win recognition from contests such as the prestigious Intel Science Talent Search. Last year, the Garcia program boasted four semifinalists, two of whom went on to become finalists. The first-place winner, Nithin Tumma, had been a Simons Fellow, as had 10 other semifinalists and five finalists. 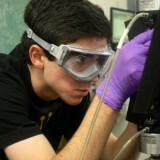 A student in the Garcia summer research program on Wednesday, July 25, 2012. Photo by Ciara Kernan. 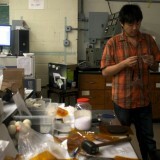 Purple rubber gloves are a common sight in the polymer science labs. Photo by Ciara Kernan. Rebecca Monastero is spending the summer working with Dr. Jaymie Meliker on a study of seafood consumption. Photo by Ciara Kernan. Three students in the Garcia program talk with an advisor on July 25. 2012. Photo by Ciara Kernan. Students who participate in these programs often go on to win national acclaim. Photo by Ciara Kernan. 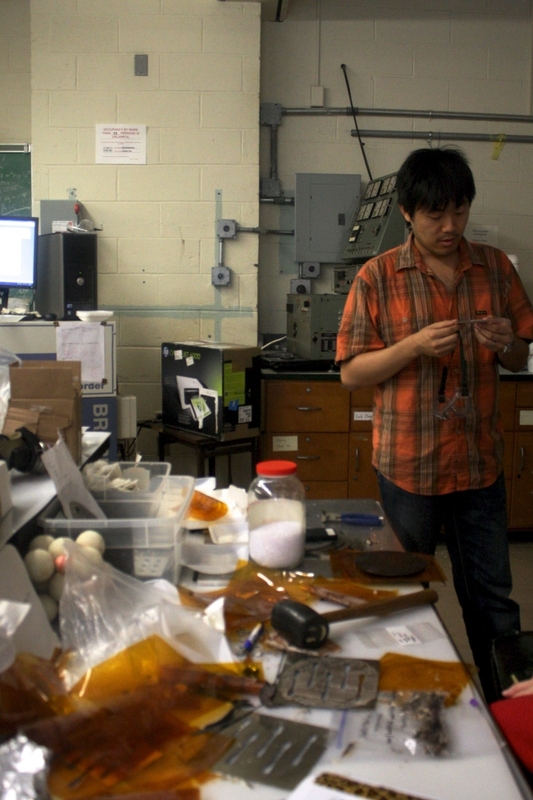 Two members of the nanocomposites group hard at work on Wednesday, July 25, 2012. Photo by Ciara Kernan.